October 9, 2013 By Jayden Quinlan & filed under All Articles, Rifles & Carbines, Weapons. Bullet position changes from first card to second card as bullet tumbles. 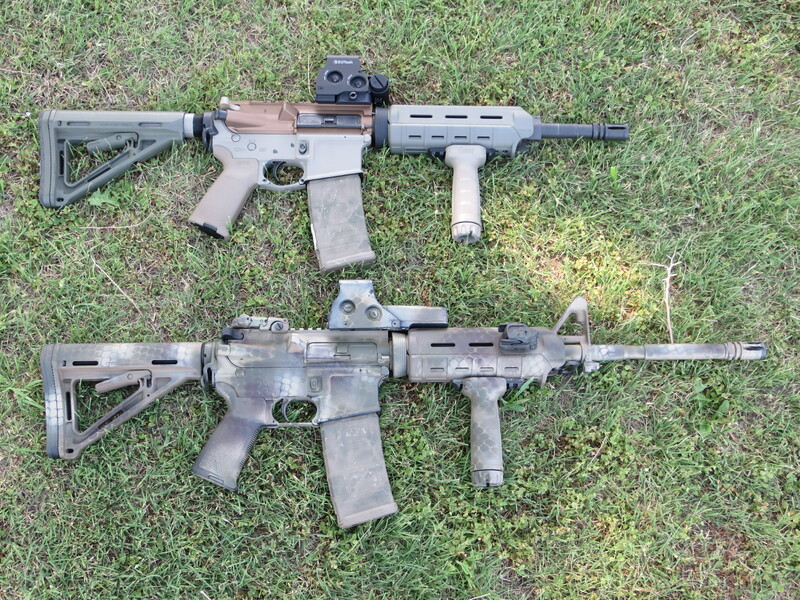 Short-barreled rifles have skyrocketed in popularity over the last several years, but has the niche outrun the knowledge in the pursuit of ergonomics? There is nothing quite as frustrating as banging the 16th inch of your muzzle on every surface imaginable as you try to smoothly deploy a carbine in CQB, vehicle or urban environments. You can’t have your cake and eat it too, and this applies to SBRs. The largest compromise in the case of the shorter barrel resides in the ballistics department. In layman’s terms, bullets maintain a point-forward flight based on having enough rotational speed to overcome the resistance of the atmosphere, or drag. If the bullet does not have enough spin, the atmospheric resistance will be greater than the stability of the bullet and cause it to tumble. Think of a football. If you throw a good spiral with a lot of spin, it will stay point forward all the way to the receiver’s hands. If you throw it with little or no spin, it will quickly tumble and become inaccurate. This is not an apple-to-apples comparison due to the dynamics a bullet encounters during supersonic and transonic flight, but should paint an understandable picture. The rotational speed of the bullet is not only a function of the twist rate of the barrel, but also the velocity of the bullet. SBRs produce considerably slower muzzle velocities than standard-length barrels.This is simply due to the reduction in time and distance that the expanding gases have to accelerate the bullet in the bore. An average velocity loss of 20 to 40 feet-per-second (fps) per inch of barrel is not uncommon in .223/5.56mm platforms. This loss in velocity translates into slower bullet RPMs, making the same bullet out of an SBR less stable than one fired in a standard-length barrel. Refer to the table that displays RPM differences due to the velocity lost by using a shorter barrel. Results of witness card test. Bullet was traveling nearly sideways as it penetrated both first and second witness cards. Obviously the twist rate of the barrel has a large part to play in the rotational speed and stability of the bullet. When dealing with the reduced velocities produced by SBRs, using the fastest approved twist rate will yield the best results with a wider range of bullets. On average, RPM loss from a 1:7 twist compared to a 1:9 twist ranges from 15,000 to 25,000 RPMs. This loss in stability can be significant enough to cause a bullet to tumble in a 1:9 twist but remain stable in a 1:7 twist. 50-, 53-, 60-, and 80-grain .224 bullets. As bullet weight within a given caliber increases, so does bullet length. 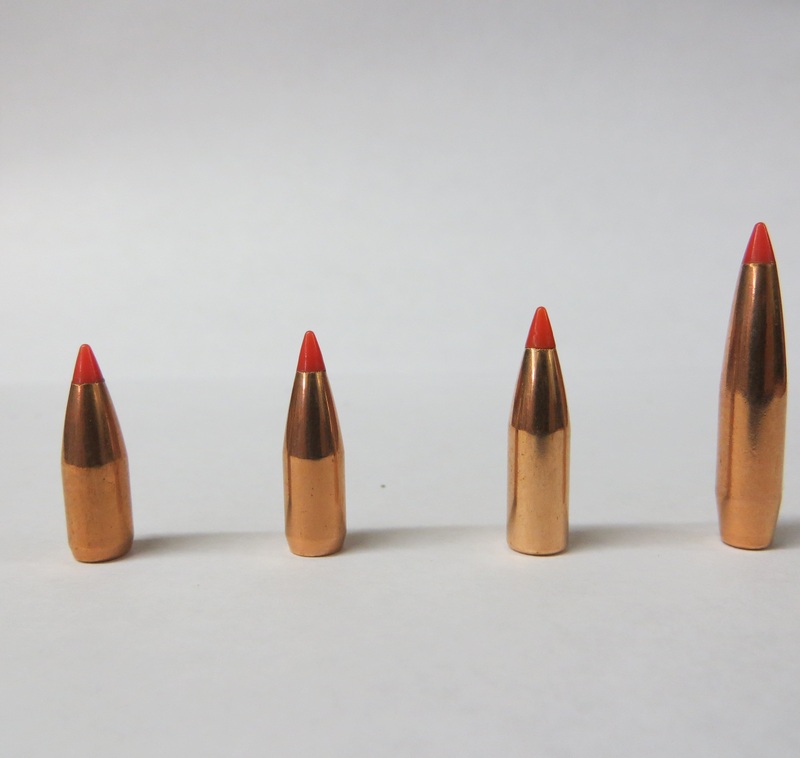 As bullet weight increases within a given caliber, the bullet becomes longer. The longer the bullet, the more spin required to stabilize it. Without getting too technical, this is a function of leverage. The longer the bullet, the more leverage the atmospheric resistance has to overturn it and cause it to tumble. Shooting a longer, heavier bullet in combination with the reduced velocities and RPMs produced by SBRs is the most common cause of bullet instability. Cold air at lower elevations is denser than hot air at higher elevations. Since certain bullet, twist rate, and velocity combinations are already pushing the envelope for stable/unstable bullet flight in SBRs, a simple change in air density can send it over the edge. Shooting at a high elevation in the summer may stabilize the bullet perfectly, but heading to the coast in December can easily cause a bullet to tumble. 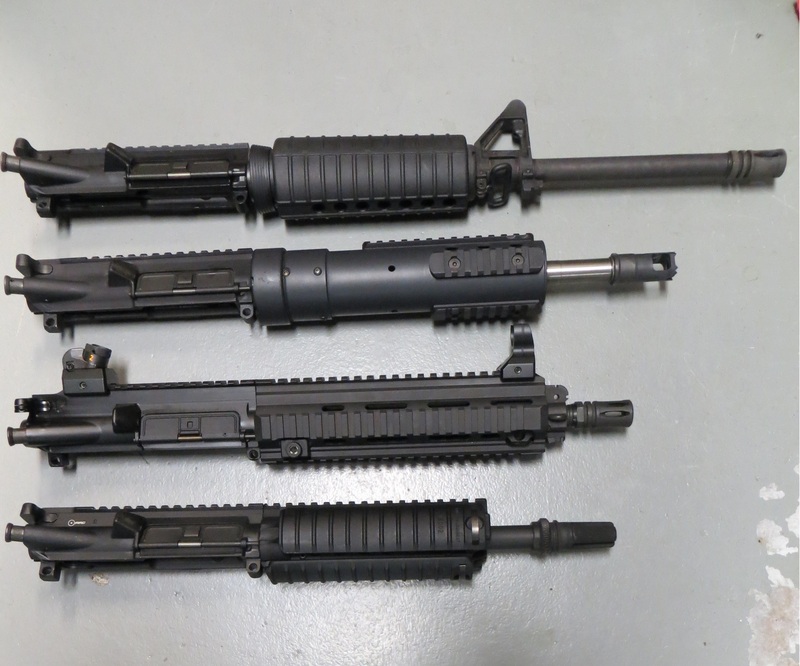 Top to bottom: 16-, 12-, 10.4-, and 9-inch upper receivers. Per inch of barrel in .223/5.56mm, there is a loss of 20 to 40 fps. Shooting an unstable bullet can become a major safety concern, especially when shooting suppressed. 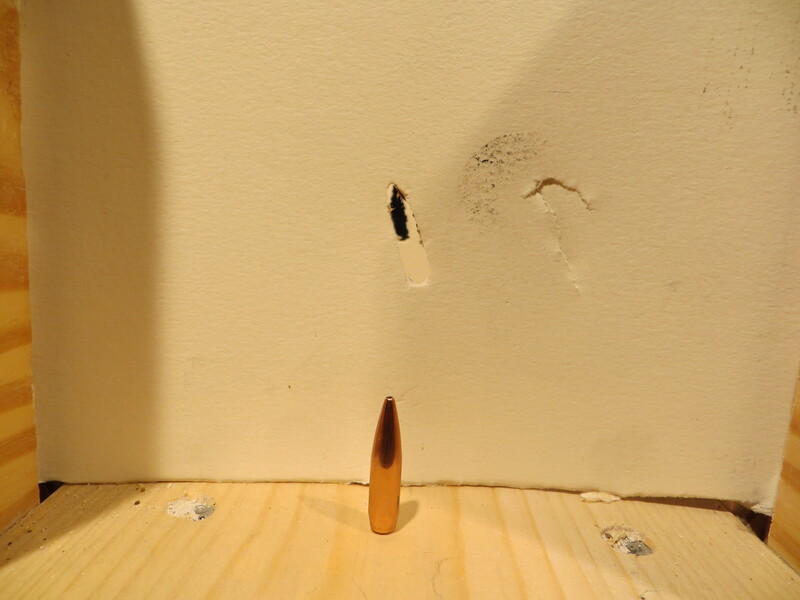 The possibility of encountering a baffle strike due to shooting an understabilized bullet is a concern not only to the shooter, but also to those around him. If the bullet strikes a baffle and makes it out of the suppressor, the remaining flight path is very unpredictable. The Internet is littered with pictures of baffle stuck suppressors that may provide extra motivation to ensure your bullet is stable before suppressing the system. 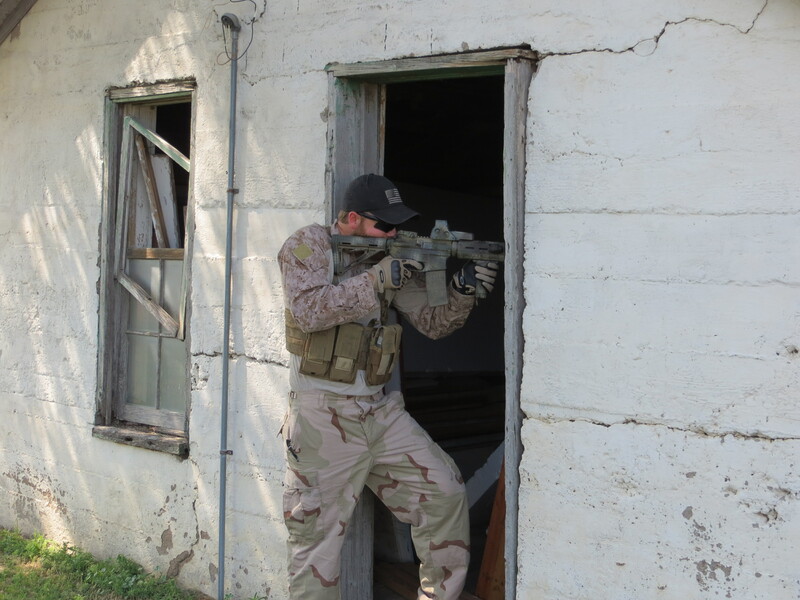 Using standard-length carbine, shooter has to dip the muzzle to clear the door jamb before coming on target and engaging. If a shooter isn’t 100% confident in the stability of the bullet he is shooting in a certain condition or platform, a witness paper test can be very useful. For this test, a minimum of two pieces of paper or witness card material can be used to record a bullet’s position in flight. 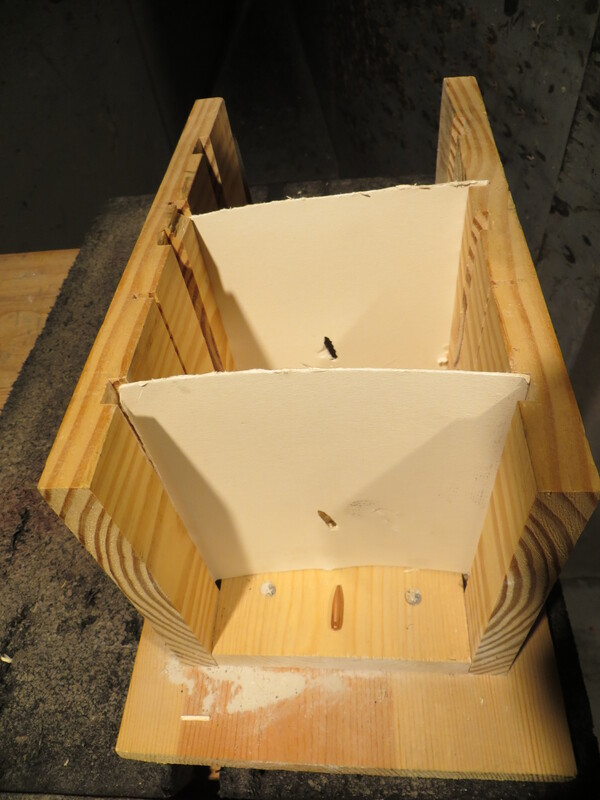 Utilizing more than two pieces will give the shooter a more representative test result. This test will not only expose a bullet that has completely lost stability and is tumbling end over end, but will also show bullet yaw. Bullet yaw may not be to the stage of an end-over-end tumble, but can be enough to cause a baffle strike at worst and accuracy issues at best. Another option is the use of a bullet stability calculator. A valuable resource, these calculators are available online but require accurate bullet length inputs for proper calculations. If factory ammunition is used, a kinetic bullet puller can be used to safely remove the bullet from the case and measured with calipers. Lifesaving seconds gained by SBR. Shooter can maintain shooting stance, sight picture, and cheek weld while clearing muzzle of door jamb and moving to engage new target. If an SBR is going to be used for hunting or defensive purposes, the reduction in velocity and RPM can have a dramatic effect on terminal performance of bullets. Bullets designed to expand or reduce the possibility for overpenetration can function terminally like an FMJ. Lack of velocity may not be enough to initiate expansion, causing a through-and-through shot, resulting in overpenetration. Most expanding-style bullets are designed to remain point forward during terminal performance to allow for expansion of the bullet. The lack of RPMs may still stabilize the bullet in flight, but once it encounters the increased resistance of a medium, it may be enough to overturn the bullet and cause it to tumble instead of remaining point forward and expanding as designed. Five-inch shorter barrel gives shooter more ergonomic platform for work in close-quarter environments. 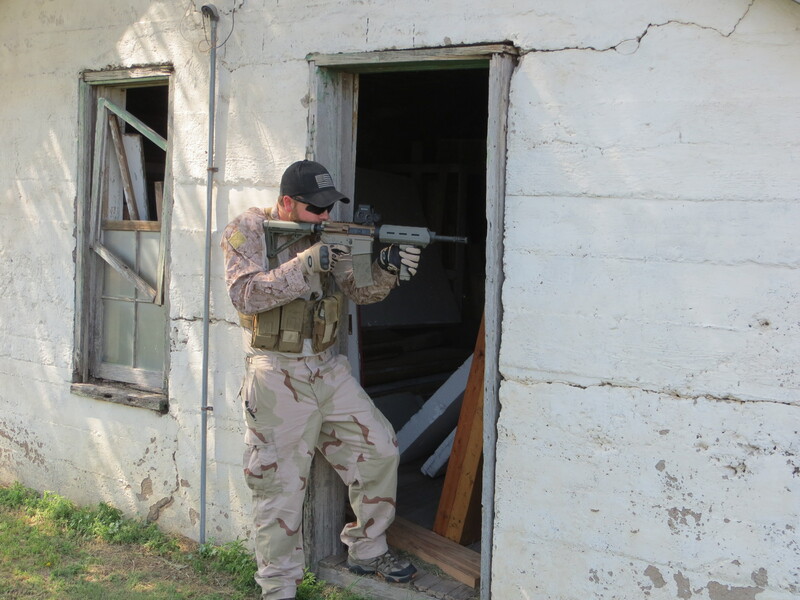 SBRs have developed a significant following in military, law enforcement, and civilian circles for good reason. Their ergonomics, portability, and manipulation benefits give the user an unparalleled advantage when working in close down-and-dirty environments. As with everything, pros and cons are always present. In the case of the SBR, most of the cons can be avoided through knowledge and testing. Jayden Quinlan works as a Ballistic Engineering Technician in research and development at Hornady Manufacturing.